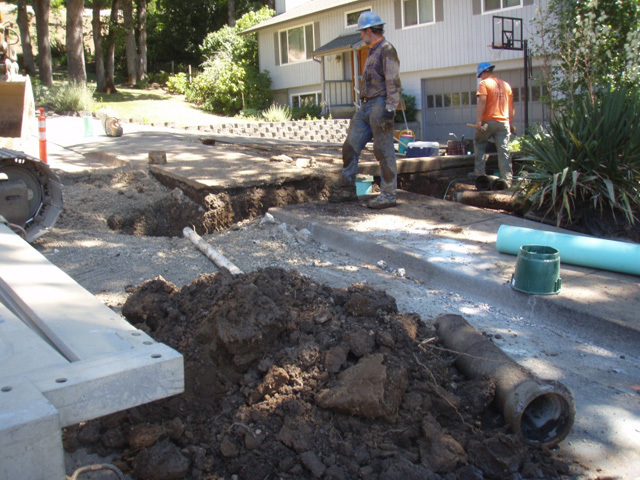 Project Description: Westech Engineering assisted the City of Philomath with a major sanitary sewer inflow and infiltration (I&I) reduction project. The rehabilitation work included approximately 6,200 lineal feet of 8, 10 and 12-inch sanitary sewer repair or replacement. Of the this total, approximately 2,600 lineal feet was open cut sewer replacement, 3,100 lineal feet was cured-in-place pipe (CIPP), 560 lineal feet of pipe was replace by pipe bursting, and 75 lineal feet of mainline sewer replacement by 24-inch diameter railroad bore with a 12-inch carrier pipe. The project also included 2,600 lineal feet of service repair and 1,000 lineal feet of 8-inch waterline replacement.